Need a quick-fix to power through those morning meetings after a night of binge-watching Netflix series and/or drinking scenes? These five budget-friendly concealers will have your back so you can walk into office without looking like the night tried to eat you alive. While a lot of concealers that come in pots tend to be on the thicker side, you can abandon any fear of that with this concealer. This gives you the coverage you need and will practically melt into your skin and stay there till you decide to take it off. This Wet N Wild Photo Focus Concealer is supposed to be a dupe of the Tarte Shape Tape, and if you know about this cult product, then you probably know that this concealer is an absolute steal. The key here is to blend. Also, a little goes a long way, so be miserly when you’re applying this around the eyes. A budget-friendly, full coverage concealer? Yes, please. 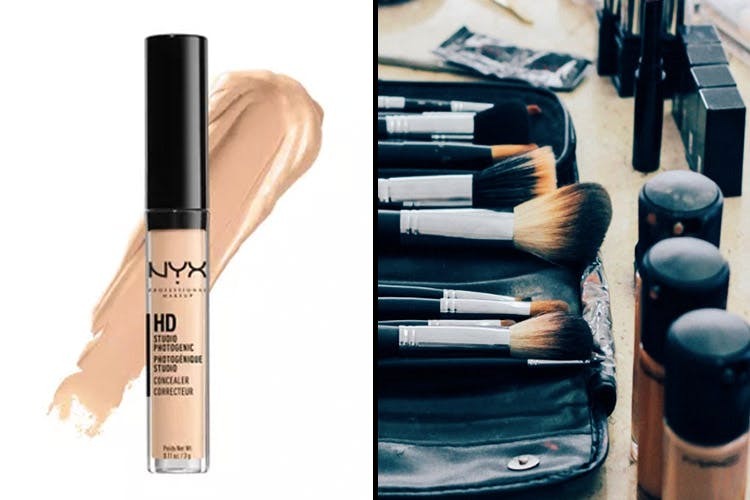 The NYX Professional Concealer is great for days when you are looking for medium to full coverage that looks flawless. The doe-foot applicator works like a dream, and the shade range is pretty cool too. This is one product we’ve been through bottles of. The Fit Me Range from Maybelline has been a hit everywhere, with women responding positively to it. The concealer of this range is everything you need your concealer to do – and then some. It will erase dark circles, won’t budge and will keep you looking wide awake. The LA Girl Concealer is a high-definition, full-coverage makeup product that has achieved cult status – and with good reason. This goes on thick, but don’t worry – once blended, this concealer works like a dream. The applicator isn’t the best, but that’s a small hiccup in an otherwise great product.